Anyone who has been on holiday to Walt Disney World knows it’s not a relaxing holiday. You will be glad of the swimming pool to rest your sore feet at the end of a day in the parks. 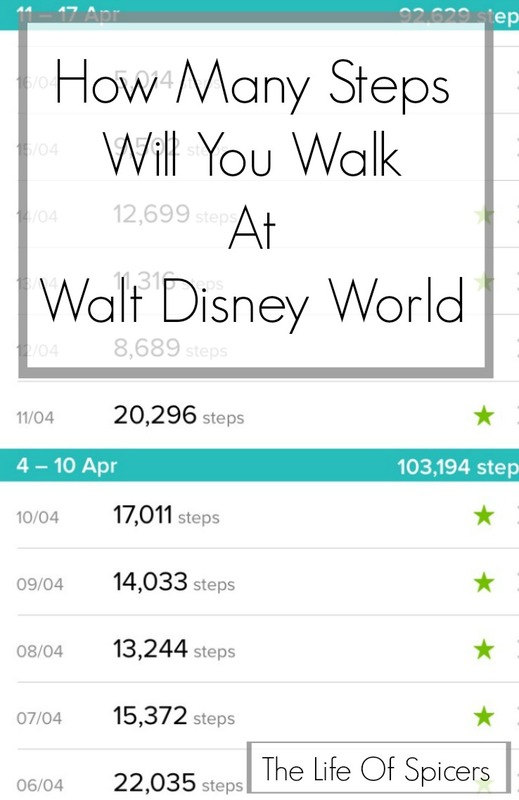 Just how many steps will you walk in a day at Disney World? I was interested to see what my average steps at Disney World each day were on our last holiday using my Fitbit. I work in an office, so building my daily steps target isn’t as easy as someone who is on the go all day. I can leave the office at 5pm and only have just over 2,000 steps showing on my Fitbit. That’s a long way off the daily recommended target of 10,000 steps a day. Did you know the average person takes between 3,000 – 4,000 steps per day? 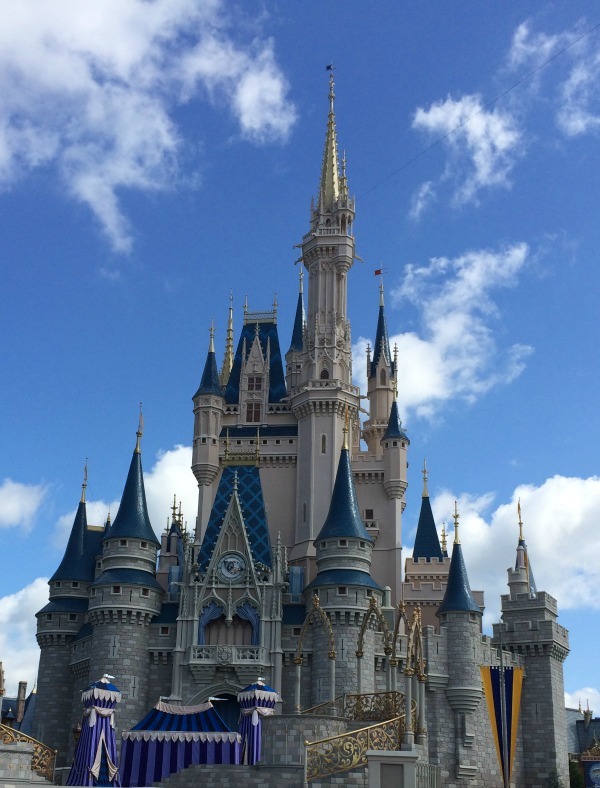 Just How Much Do You Walk At Disney World? We knew we would be doing a lot of walking around Disney World. We would be on our feet a lot more, with walking around our resort, to walking in the parks. 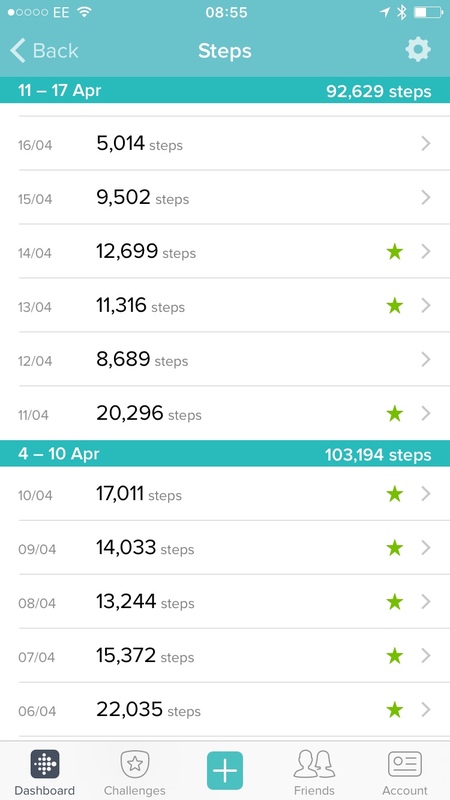 I was very interested to see my Fitbit steps at Disney World, so I’m going to share my steps for the nine days I was at Walt Disney World in April 2016. Weds 6th April was our first full day and we spent the majority of the day at Animal Kingdom. By waking up early this morning and taking a wander from our room in the Jamaica building at Caribbean Beach resort to the food court to get a coffee and back to the room before everyone else was up. We then all went back to the food court for breakfast before catching the bus to Animal Kingdom for the day. 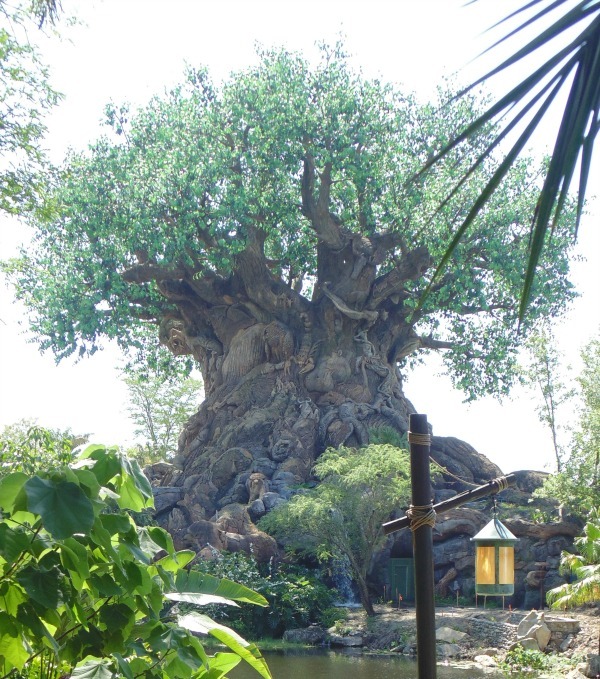 Animal Kingdom spans 580 acres in size and is the largest of the Disney parks. You won’t walk all of this however as a lot of it is viewed via the Kilimanjaro Safari trucks. We spent the day wandering around two thirds of the park before going back to the hotel for a swim. Hubby and I then spent the evening at Hollywood Studios watching the Star Wars fireworks. – 22,035 steps. How many miles is 23000 steps? Approximately 12.5 miles depending on your stride length. Thursday 7th April, we were up early to get to Magic Kingdom for the park opening rope drop. We had originally only planned to stay for the morning but left the park at almost 4pm in the end. Another dip in the pool and the evening spent watching a movie under the stars – 15,372 steps. Friday 8th April we had a lazy morning to recover from the previous two days and a late afternoon and evening planned at Hollywood Studios to watch Fantasmic. Despite spending a good portion of the day lazing around the pool enjoying the sunshine, I still managed to walk 13,244 steps. 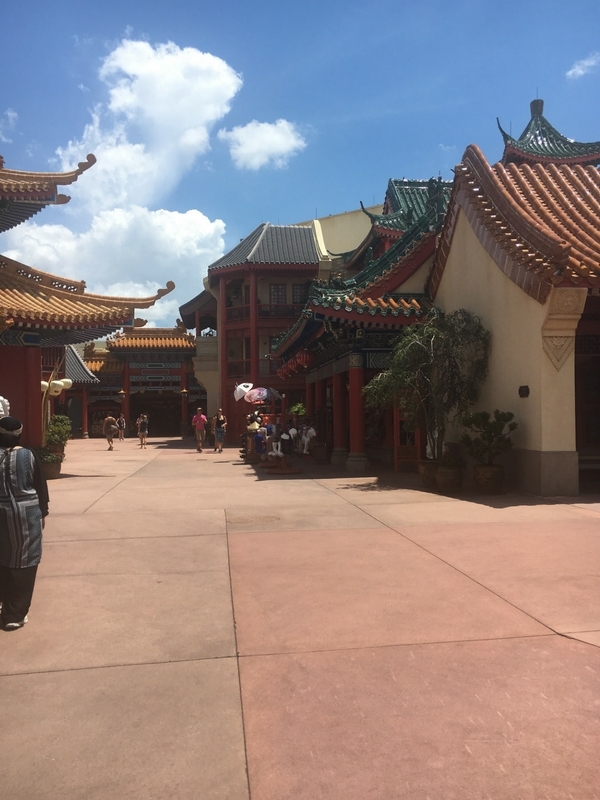 Saturday 9th April was a late start again with a trip to Disney Springs for a spot of shopping before a late afternoon and evening at Epcot to watch Illuminations and to enjoy dinner at the Garden Grill. 14,033 steps walked today. Sunday 10th April was a day I was looking forward to as we were going to walk around the World Showcase at Epcot and enjoy the Flower and Garden Festival. We arrived early and leisurely strolled around the world before arriving back at the Caribbean Beach resort for swimming mid afternoon. 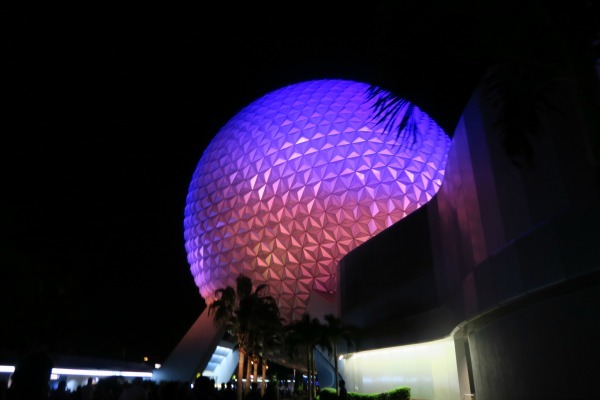 How many miles to walk around Epcot? We made our way to Magic Kingdom in the evening for the Main Street Electrical Parade and Wishes fireworks. 17,011 steps today. Monday 11th April was a lazy morning by the pool although I did take a walk around the 1.2 mile circuit at Caribbean Beach Resort before we headed to Magic Kingdom for an afternoon of rides before meeting the Beast for dinner. We stayed a little later than planned and got a little disorientated trying to leave the park in the dark whilst being redirected due to the parades, that I racked up 20,296 steps today. Tuesday 12th April we visited Typhoon Lagoon and I didn’t wear the Fitbit for the majority of the day. Hence only 8,689 steps today. Wednesday 13th April we decided to visit some different resorts so there was a lot of wandering around. This was our last full day in Disney World which was a bit sad but it was nice to see how the other half live at The Grand Floridian. 11,316 steps today. Thursday 14th April was home day but we squeezed in one final visit to Magic Kingdom for the morning to watch the Move It Shake It Dance Parade and revisit some of our favourites before we had to say goodbye. I learnt that walking through an airport can amass quite a few steps. 12,699 steps today before sitting on the plane at 7pm. 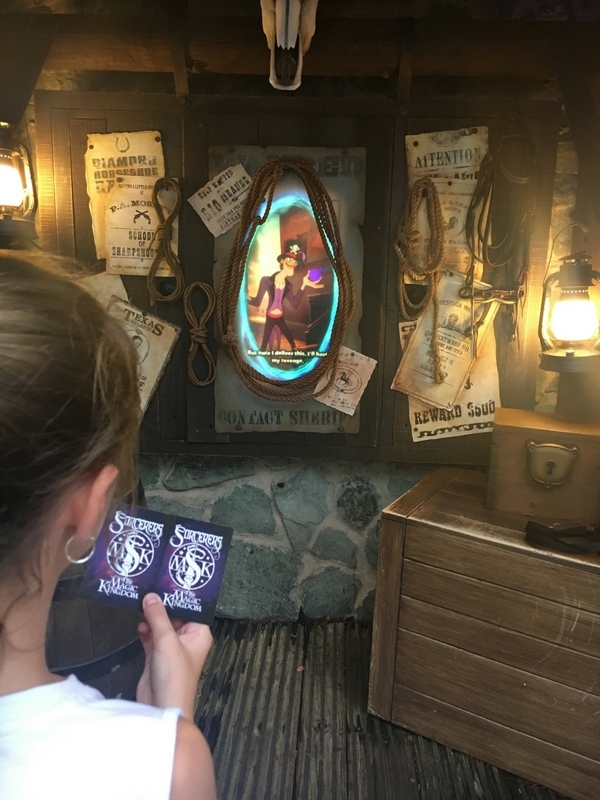 So how far do you walk at Disney World? The answer is a LOT! 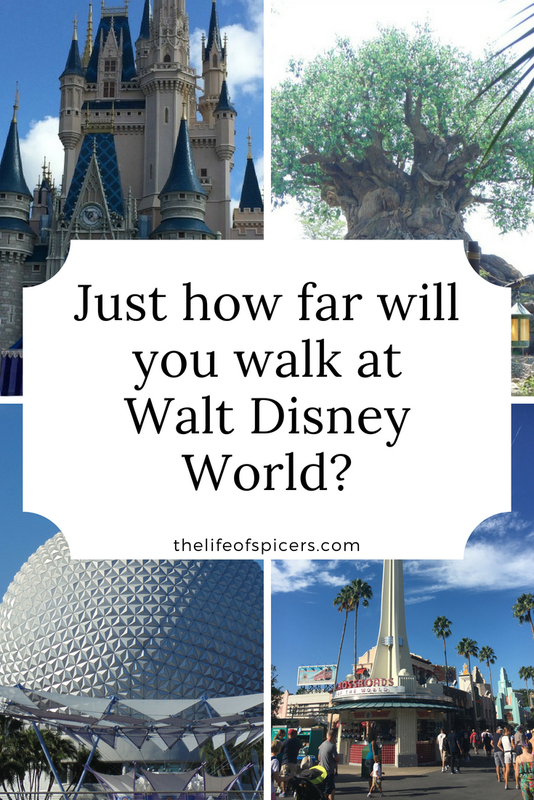 If you were looking for an answer to the question how many steps will you walk at Walt Disney World, then I hope this post has given you an insight into this. Wearing a Fitbit was a great way to track steps and see just how far we were walking all week. As you can there were lots of miles walked at Disney World. I ate plenty of ice creams and snacks and still managed to lose a pound on holiday. I think this is because my standard working days in the office are so sedentary that by walking the above steps, it was a lot different for my day to day lifestyle.